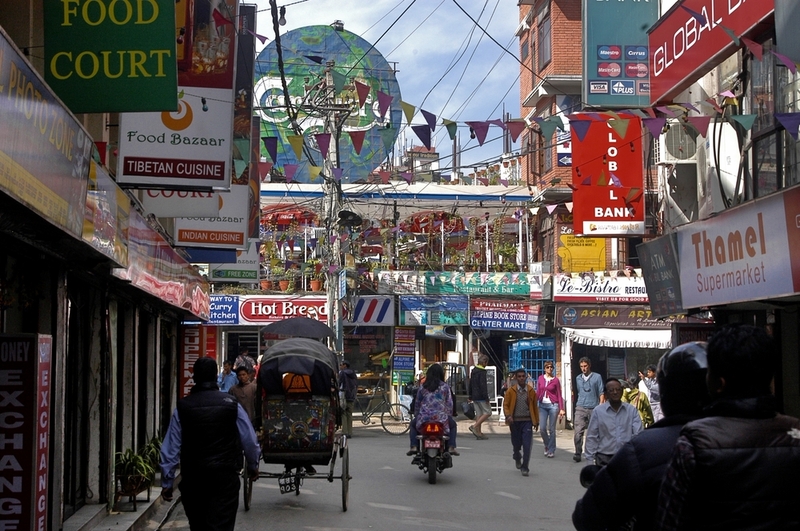 Thamel is the most bustling tourist district in the capital city of Kathmandu. It’s comprised of five to seven main streets and many smaller ones that are intermingled around the area. Thamel being in the centre of Kathmandu to many tourists is also one of the oldest places in the capital. The old buildings throughout Thamel are built in Newari. The Newari were the traditional inhabitants of Kathmandu Valley. Whatever you are looking for, you find it in the Tamel. There are some wonderful jewellery stores as well as clothing, retaurants, cafes and bars. Thamel is loud, crazy and you will feel disoriented quickly. But the Thamel is defenitely a must-see when you are in Kathmandu, you will never forget this place again. Turn off your western mentality and embrace your senses! In order to avoid getting lost, locate yourself at the street junction between the three mini supermarkets at the entrance Thamel. From there you can head South to Durbar Square, South-East to Thamel Marg, or North-West to the Swayambhunath Monkey temple. If you do get lost, ask for the Pumpernickel Bakery everyone knows where it is and will point you back towards this central area. Never take a taxi around Thamel, it's simply too small to do so. Walking is the best way to get around, or hop a cycle rickshaws if you find yourself stuck in the street of Thamel. Be aware that Thamel is touristy therefore for everything you buy you have to bargain. Many stores accept international credit cards. 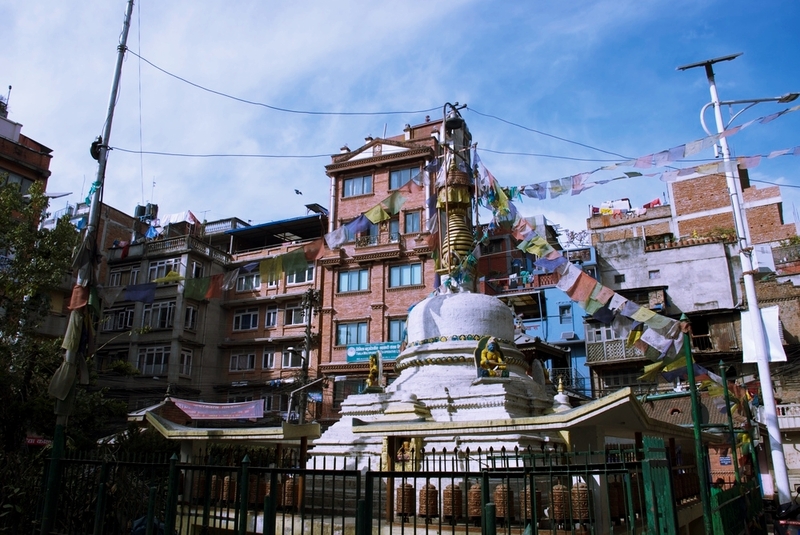 From our guesthouse, Thamel is only a ten-minute drive away by taxi. You usually find a taxi along our main street, Lazimpat Road. Before stepping in a taxi, first ask where you need to go and how much you must pay. Normally driving to Thamel should cost you ~200NPR. Therefore you must bargain when dealing with a taxi driver to settle the price as such. When returning from Thamel, the price normally is ~250NPR, with the exception in the evening where it’s ~300NPR. The price to return is slightly different because our street is very quiet and it will be difficult for taxi driver to find another client.